During my last few visits to Kolkata I was intrigued to hear from local furniture makers that their prefered timber is Mahogany. They claim Mahogany is easy to work, is cheap and extremely durable. 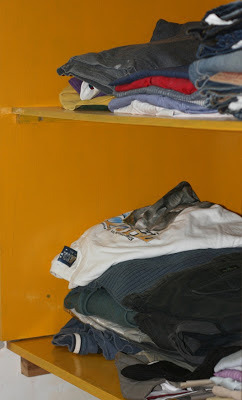 They seem to prefer it to Teak, which is a much harder wood and more than three times the price of Mahogany. 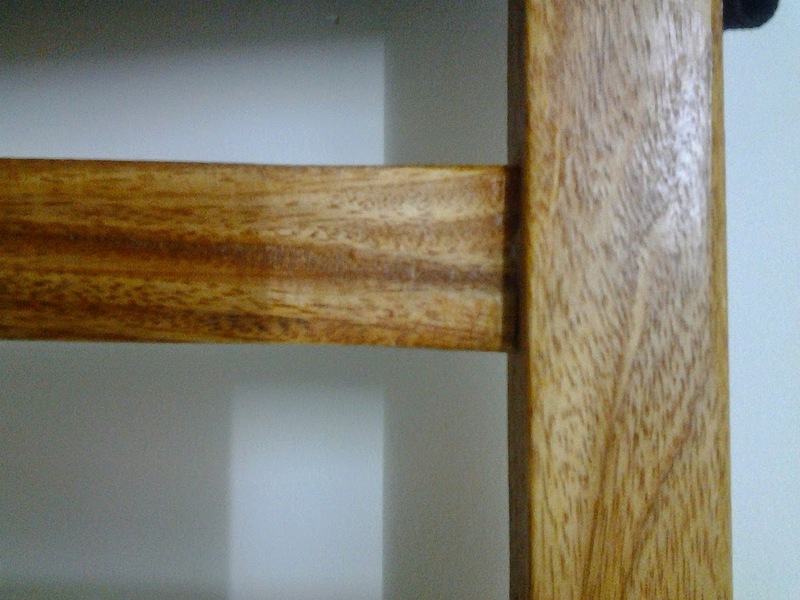 I was amazed because Mahogany is a rare and expensive wood which is not readily found in most parts of the world. How on earth could it be so cheap and easily available in Bengal? Moreover, as far as I knew, Mahogany only grows in Latin and Southern America from where it is sourced. According to CITES (Convention on International Trade in Endangered Species of Wild Fauna and Flora), Mahogany is admired "for its high quality, beauty and durability, mahogany is made into luxury furniture, boats, expensive panelling, musical instruments and other wood products. 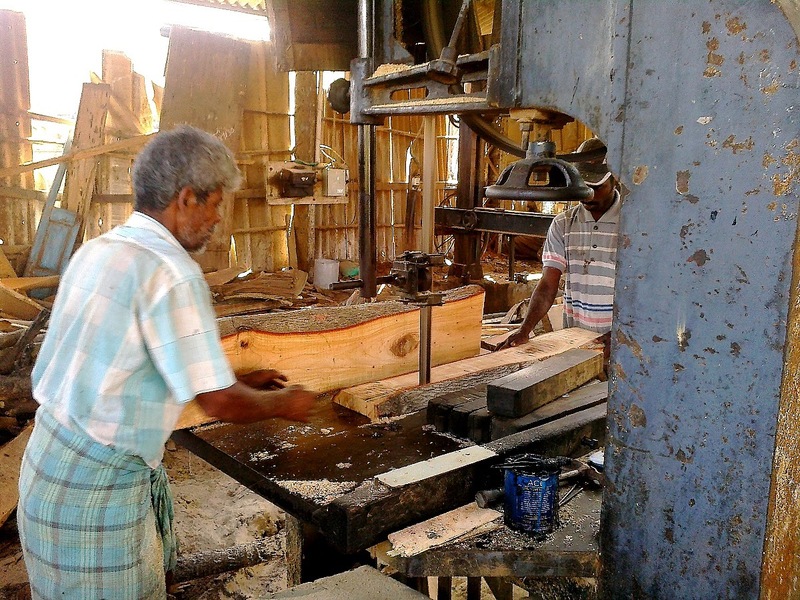 One cubic metre of big-leaf mahogany can fetch some USD 1,300 (about Rs 80,000) on the international market and one tree alone can produce more than USD 100,000 worth of high-quality furniture." Clearly Bengal Mhaogany was a mystery that required some investigation. Some quick research on the Internet assisted my friend Dinabandhu Mitra in Kolkata revealed that the timber called Mahogany actually refers to the wood of three principal species, two of which are commercially extinct. The three officially recognised Mahogany species are Swietenia humilis (Pacific Coast Mahogany or Mexican Mahogany), Swietenia macrophylla (big-leaf Mahogany) and Swietenia mahagoni (Caribbean Mahogany, Cuban Mahogany, American Mahogany or West Indian Mahogany). Swietenia mahagoni is native to southern Florida and the West Indies and was once used extensively to make guitars and fine furniture. Very few sources remain today just as with Swietenia humilis. The problem with all three species of Mahogany is huge demand which has led to over logging and a thriving illegal trade. Today, all species of Swietenia mahogany face near extinction. Currently, all three species of Mahogany have been placed in the list of protected species under the Convention on International Trade in Endangered Species of Wild Fauna and Flora (CITES) and efforts are on to conserve these species. The original Mahogany, which so excited the imagination of European cabinet makers and the public in the 18th century, was from Honduras. This was the real mahogany and classified as Swietenia macrophylla, a beautiful, lofty, evergreen tree that could reach a height of 130 feet (more than a 13 storied building). 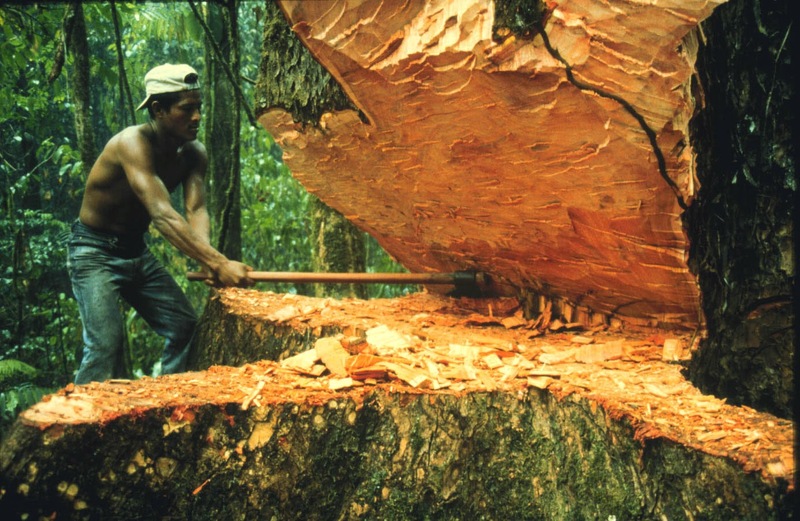 Giant Mahogany trees growing in the Honduran jungles were located, felled and shipped to Europe and North America. These trees were relatively rare even in those days and specialised tree hunters were employed to find and fell them. Today, many countries in the world are helping to revive the species, mainly Swietenia macrophylla. One problem is that Mahogany is very finicky and refuses to grow in most places. Apart from south and central Americas, the species so far has been successfully grown only in some parts of Asia. The main Asian countries involved in the rejuvenation of Swietenia macrophylla include Bangladesh (ca. 2000), India (ca. 1994), Malaysia (ca. 1998), and Taiwan (ca. 2002). Mahogany takes 30 to 35 years to mature and commercial harvesting is still many years away. In Kerala, planting of mahogany, both S. macrophylla and S. mahagoni, was initiated in 1872 and was continued in different localities subsequently. Plantations of both Swietenia macrophylla and Swietenia mahagoni were raised as early as in 1893 at Edacode in Nilambur. Very little Mahogany of the original plantings remained and a fresh impetus was required to boost the spread of the species. The research wing of the Kerala forest department has initiated research trials of this species from 1994 onwards at Olavakkode research range at Dhoni to evaluate the growth performance of this species. According to Dr P Sujanapal at the Kerala Forest Research Institute, Mahogany is being promoted in being promoted in Kerala in a big way by his organisation and a number of small scale plantations are growing the tree. Farmers are also picking up seedlings to plant in their homestead and as shade trees. In India the tree grows quickly and attains a height of 30-40 feet in 15-20 years and is harvested once the girth reaches about two feet. My enquiries in Kolkata suggested that the Mahogany available locally was neither imported nor procured from Kerala. So where is Mahogany in Bengal coming from? Further research showed that India and Burma were two places where the big-leaf Mahogany was successfully grown by British colonial era botanists. In India, Mahogany was first planted in 1795 in Bengal and as far north as Saharanpur (UP). In 1865, under a major initiative as many as 8,000 Mahogany seeds from the West Indies were imported and planted all over India. Most of the seeds did not germinate but hundreds did and they grew well in the hot, humid Bengal climate. One tree planted in 1795 and uprooted in a cyclone measured 14 feet 3 inches in girth - huge by any standard. The British wanted to propagate Mahogany all over India but one problem appears to be that the Mahogany tree refused to flower and produce seeds in the north. The tree did well in Bengal, Bihar and Burma but here too it was difficult to get the trees to seed. As a result, seeds continued to be imported from the West Indies. In his 1878-1879 report, Dr Brandis, the Inspector-General of Forests remarked: "Of the exotic trees which are cultivated by way of experiment, mahogany is the most important, and its success seems not improbable, though it is too early yet to form final conclusions upon the subject. 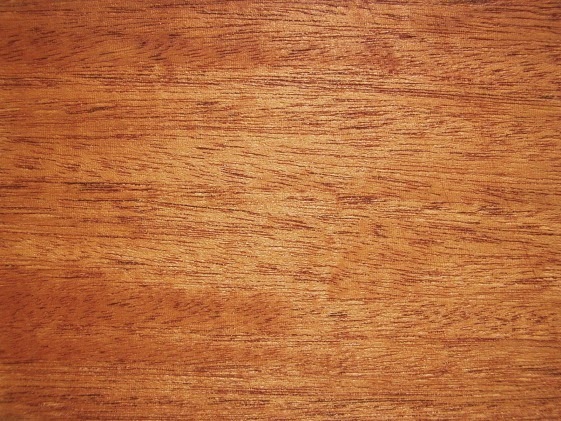 Mahogany is also cultivated as an experiment in Burma and the Chittagong district of Bengal. The tree is known to thrive well near Calcutta, and every effort should be made to cultivate it in those forest districts where climate and other circumstances are favourable." After the departure of the British, Mahogany plantations in Bengal appear to have declined and supplies eventually dried up. Seed imports from the West Indies stopped a long time ago. After some more sleuthing, I discovered that the so-called Mahogany so prized by furniture makers in Bengal is not Mahogany at all but a somewhat similar species called Indian Mahogany or Red Cedar. The scientific name of the tree is Toona ciliata (synonym Cedrela toona), which grows all over southern Asia (including many parts of India) and in Australia. Toona ciliata is a member of the Mahogany family and is reported to be called Mahogany in Bengal even in the 19th century. As true Mahoganies became scarce Toona became a Mahogany subsittute not just in Bengal but in some other parts of the world and even today is used for making guitars. In Bengal the tree is commonly known as Maha-limbu, lim, mahalim, mahanim and so on. The Tun, as it was commonly known in colonial times, provided the best planking wood for making boxes, especially tea boxes. The wood is easy to carve and work and has a nice texture. The wood is said to be durable and not attacked by termites. It also looks a bit like Mahogany and takes a fine finish. Sadly, even this wood is fast becoming scarce because it is slow growing and over-logged. Soon even supplies of this wood could end. I asked a friend in Kolkata to send me a sample of the wood. It arrived a couple of days ago and I planed the piece to see how it worked and looked. The wood was incredibly easy to plane and looked nice too. It has a pinkish red tinge and reportedly turns darker red with age. The wood is light and has a tendency to warp somewhat. I wouldn't rate it as good as Teak, Sheesham or the original Mahogany but it is a lovely, easy to work wood that deserves to be promoted and protected. Toona in Chennai: Solomon Manchala based in Chennai wrote in saying that he came aross a very similar wood in a local lumber yard. The mill hands said the wood behaved exactly like Toona - wood being light pink in color at the time of cutting it and darkening over time. It is very likely that the wood Solomon encountered in Chennai and Col. Bala in Indore are also varieties of Toona, which grows all over the country. Thank you for the thoroughly researched article. I had worked with a seemingly similar wood, early last year, in my first ever attempt at wood working. I was looking for cheap wood and was guided to a saw mill that deals in "naatu maram"(Tamil - loosely translated to 'country wood') where I found this. The description above closely matches what I had observed. Although planing this wood was not easy, working was quite easy. With barely a few hand tools (other than a power drill) and a multipurpose saw, I was able to make what I had mentally visualized - a crib for my daughter! Will share the pictures of the log at the time it was cut and a close-up of the wood grains, so you could confirm if it is indeed this wood. 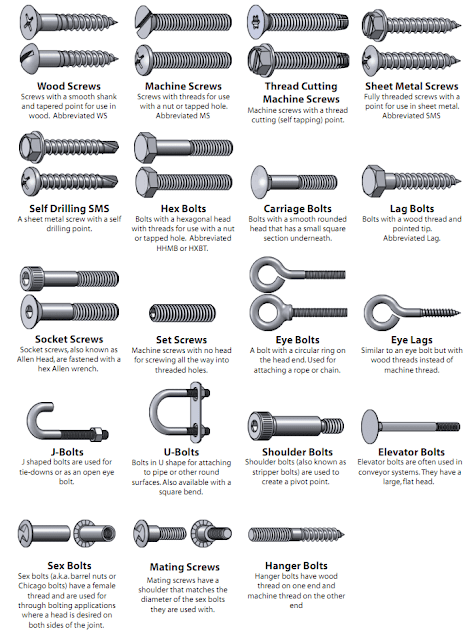 It was my desire to start my first woodworking project as to build a woodworking bench. As I am just a novice and ventured into local lumber yard, I came across something they called "Mahogany".I was quoted a relatively lesser price(750 per cft). I brought few lumbers like 4"X4" 2 7ft for making legs and 3 piece 7 ftX 8 " with 1-1/2" thick for making top. My desired dimension was 6X2 for top and base with 4X2 for base. I brought few pieces for support as well. In my surprise I found these lumber are not immediately usable and needs seasoning. I placed them in roof for few months, exposed to sun and also exposed to rain without. Recently I found cracks are formed and so I decided to take them into my room. With the information you provided here I can infer probably I have brought these species of wood "Toona ciliata".I will provide the pics of these lumbers to you. 1.Is there a way I can fill these cracks? 2.What is the standard method of seasoning if the woods provided are not dry. What is your recommendation for a bench top which will be strong as well as be fit into pocket in terms of price. I can put a 1" layer on top of 1-1/2" Toona ciliata. Thanks for the article. I was looking for good quality mahagony wood for making headphone cups and was confused by so many price ranges. Now it clears up. I might have to import the wood for authenticity.